This year at Cosmoprof North America, the Discover Green section expanded quite a bit. Last year, I didn't even venture that way, but this year it was unavoidable just because of size and location. However, there were some amazing brands in there including today's #MakeupMonday feature! 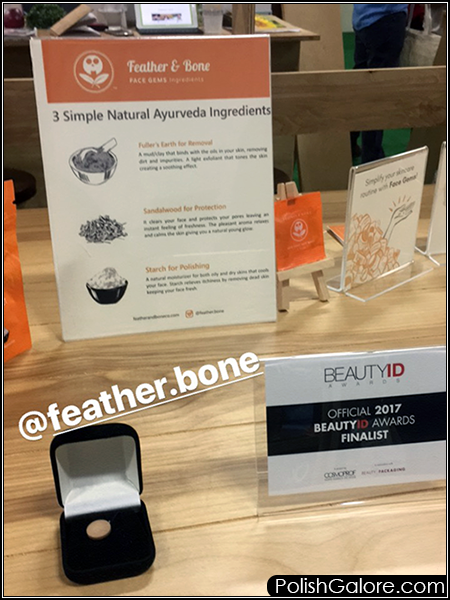 Feather & Bone is a holistic wellness company that looks to provide unique beauty care solution both through products and education. This isn't some fly-by-night company, CEO and Founder Shubhangini Prakash was only 12 years old when she had skin issues to store bought face products. 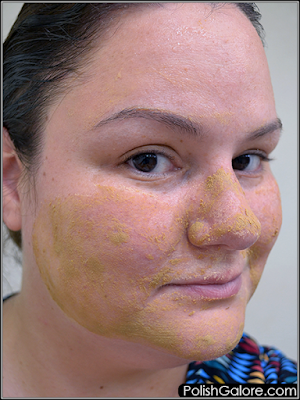 Along with her mom, she started mixing all natural ingredients to find the perfect mix for an every day face wash.
Face Gems contains just three Ayurveda ingredients: Sandalwood (to protect), Fuller's Earth (a mud/clay to remove dirt & impurities) and Starch (to polish your skin). It does not contain animal products of any kind and there aren't any adverse effects to the environment. One tablet equals one face wash, and while there aren't any preservatives, as long as the packaging remains intact, the product won't spoil. Face Gems claims to provide you with a full skin care routine: cleanse, exfoliate and moisturize. While it's good for all skin types, if you feel you need an extra moisturizer afterwards, go ahead! 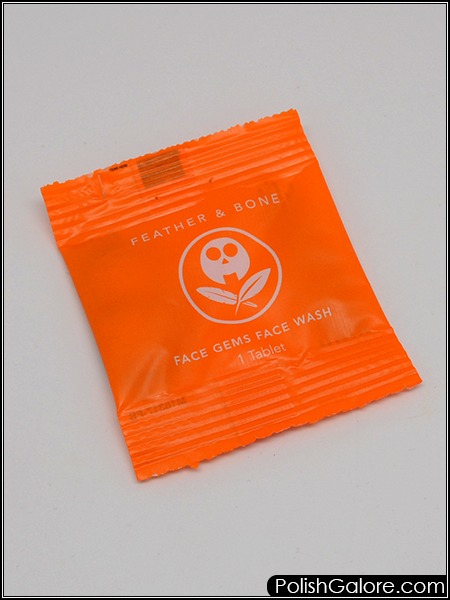 The Face Gems orange packaging that I received is cute and the concept is simple: Pop, Drop, Wash, Rinse. Again, I received an individual tablet but when purchased online, the tablets come individually wrapped in tear off plastic sleeves. This is perfect for traveling because I don't have to mess with liquids or bringing too much of an item. I can even throw one in my purse for after the gym! So start by "pop"ing open the packet and placing the tablet in the palm of your hand. 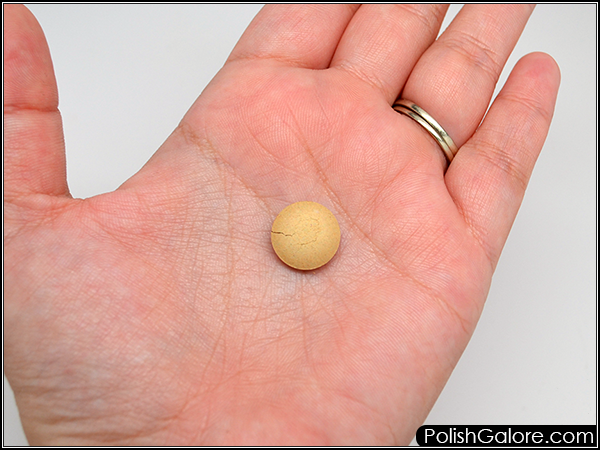 As you can see, it's not that big - larger than an aspirin but smaller than a Mentos mint. 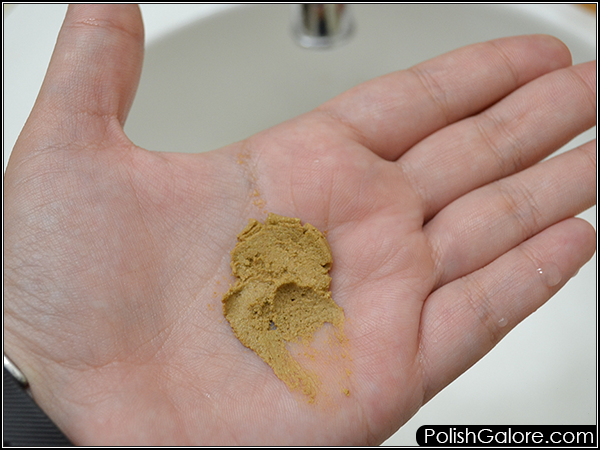 Next, add 5-10 drops of water using your other hand to the tablet. I don't recommend just putting the tablet under the faucet to get it wet. 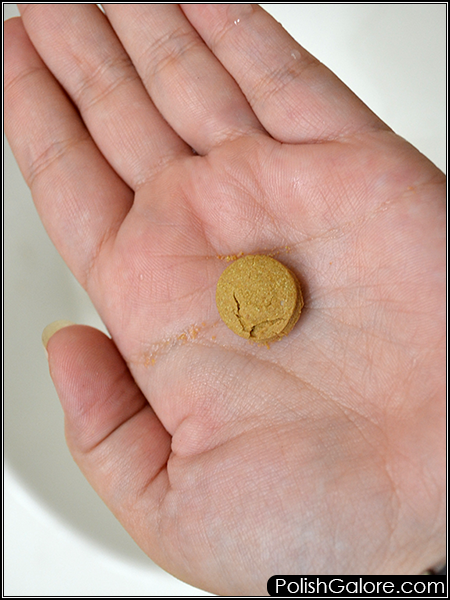 Then apply pressure on the tablet to dissolve it and form a paste. I was surprised that only 10 drops of water made it super smoosh-able. Then apply the paste to your face and massage it on. So let's be honest - it's a learning curve for me. 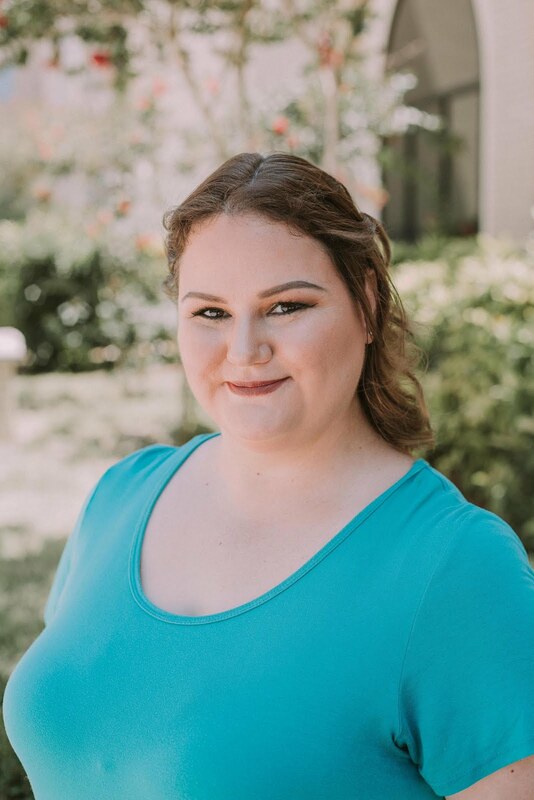 As you can see, I didn't even get the product to my five forehead. I'm not sure if maybe I needed more water or just to be more stingy with the product. As it dries, it does turn white, but I rinsed right after these photos. 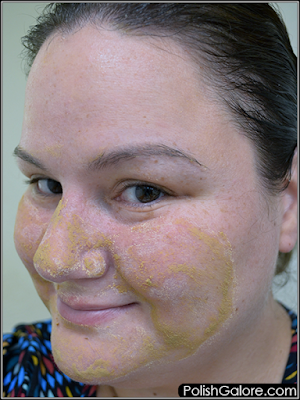 Finally, rinse the paste from your face and feel refreshed. Did I? Well I opted to use a washcloth to help get all the paste off instead of just my hands only for sake of neatness. I hate splashing water everywhere. I was very impressed that the paste stayed on my face - it wasn't runny. There wasn't much of a smell and my face felt clean afterwards. You're not going to have tingly tightness but I did feel clean and after the triple digit heat today, I wanted to feel clean. Bonus round, I have another tablet here so I'm interested in seeing if I can make that reach all the way to my forehead. I really do like the concept, especially for travel, and the fact that it's all natural is totally a plus. I'm getting old and I don't need to see pimples forming because I'm using products that are full of chemicals. Price: Currently, Feather & Bone Face Gems is only available in a waterproof tub of 60 tablets for $19.97 USD but ships worldwide (shipping not included). You can choose from a one time delivery or monthly subscription. If you're only washing your face once a day, that's less than 33 cents a day which is super reasonable for me. Feather & Bone Face Gems may be purchased on their website. Join the social conversation on Twitter, Facebook, YouTube and Instagram.